Our first mission when visiting a dog park is to have fun with our best friend. Our second mission? Take amazing pictures of our best friend having fun! Here are some of the best dog parks in NYC to snap your next Instagram post. Located in Tribeca, this dog run has two separate areas, one for big dogs and one for small dogs. It includes water features and small rock clusters for playing, plus benches and umbrellas for humans. The run is cleaned every day between 10-11am and 8:30-9:30pm. 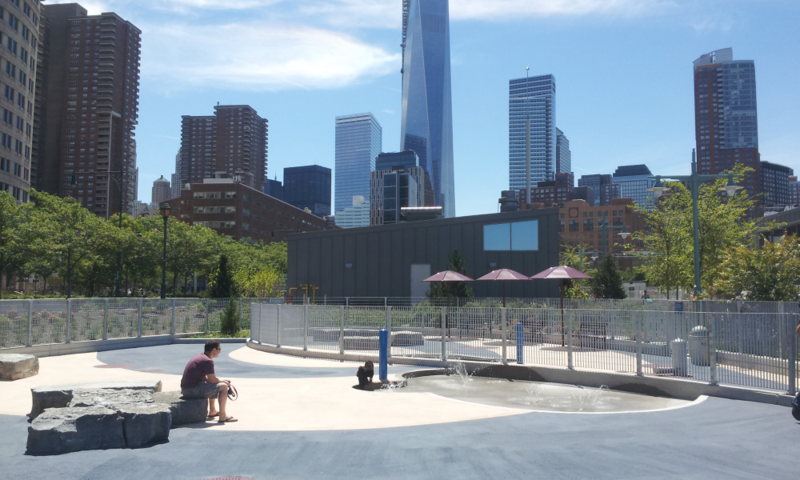 Prime Instagram pic: splashing in the water fountain with the World Trade Center in the distance. 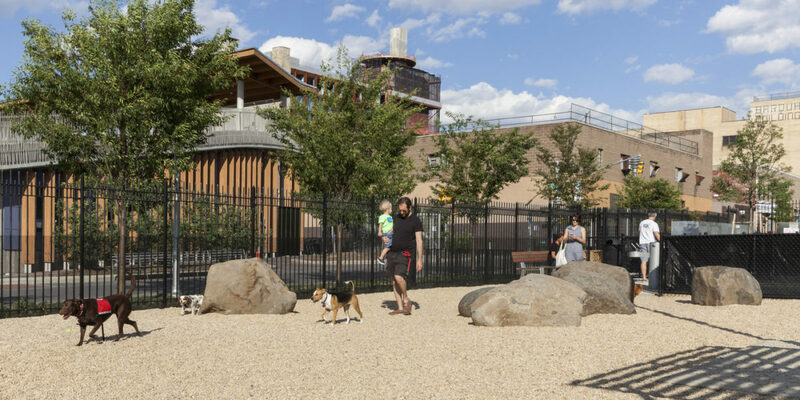 Alongside the East River in Williamsburg, Brooklyn, the East River State Park Dog Run separates big and small dogs and features rock formations, benches, and water fountains for humans and dogs alike. Prime Instagram pic: with the Manhattan skyline as a backdrop. 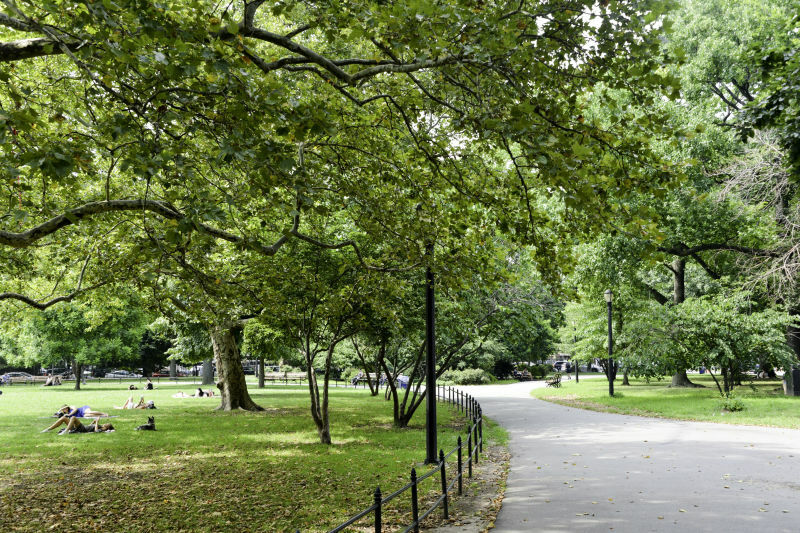 Sandwiched between Downtown Brooklyn and Clinton Hill, Fort Greene park is an off-leash park between 9pm – 9am. 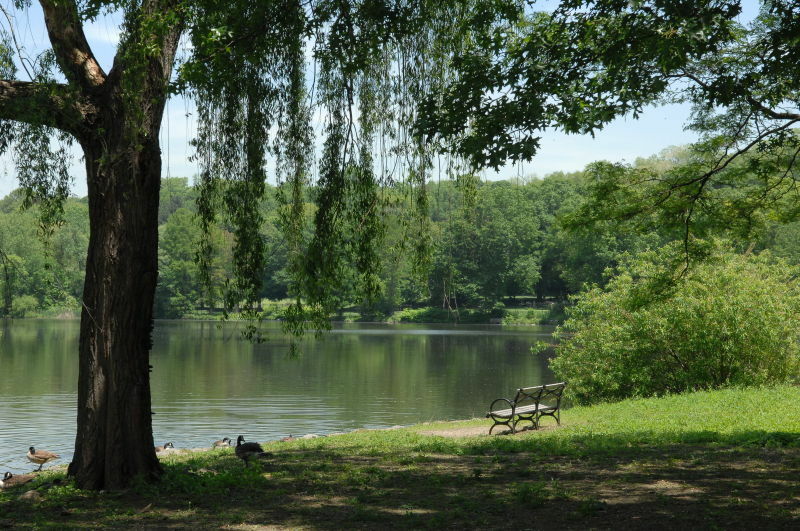 The park and surrounding neighborhood is deeply historic, having played a role in the Revolutionary War and War of 1812. 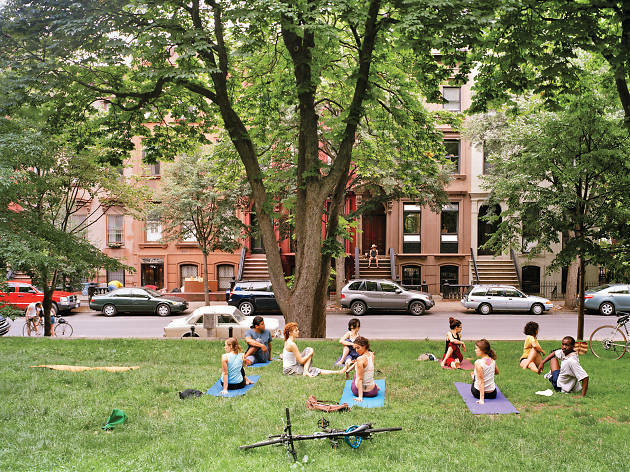 Prime Instagram pic: among all the greenery, with a row of Brooklyn brownstones in the background. 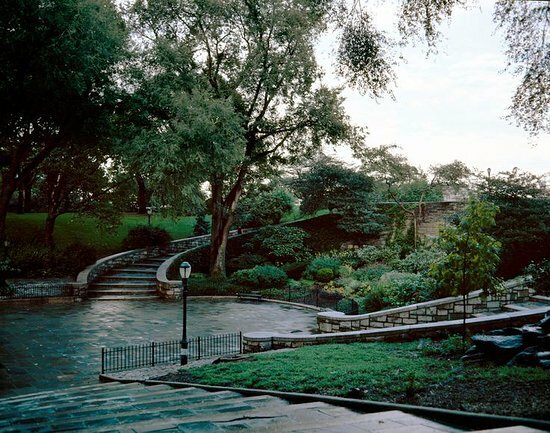 This gorgeous hidden gem of a park is located on the Upper East Side next the East River. There are two dog runs within the park. While there, you can stroll around the historic Gracie Mansion. Prime Instagram pic: in front of Gracie Mansion or the above symmetrical staircase. 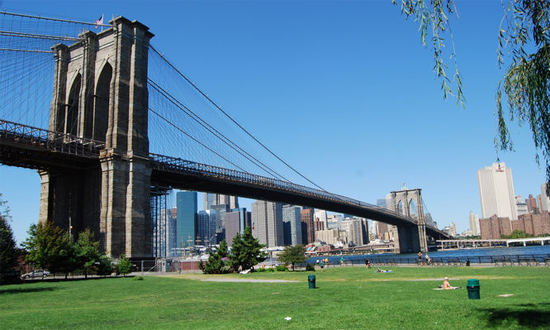 Located in DUMBO, Brooklyn, this iconic park is the perfect spot for your dog to frolic! Trains are constantly crossing the bridge, so if sound is an issue for your pup, maybe stay away from the bridge itself. Prime Instagram pic: either with the bridge spanning the background or turn 180 degrees for an industrial DUMBO backdrop. McCarren Park offers all the trees your dog could ever want to sniff! They also offer a nice, shady spot during the summer. Prime Instagram pic: seated under a tree in bloom. Up in the Bronx, there’s a 14,000 square-foot “Canine Court” with hoops, seesaws, and tunnels to test your dog’s agility and expend all that extra energy. Prime Instagram pic: next to the tree that leans toward the lake or under the iconic arched entrance to the park. Are none of these dog parks close by? Check out this list to discover some of other best dog parks in NYC.